Dell has revealed its latest laptop in the form of the Dell XPS 15z, a 15-inch Windows notebook with a 24.7mm thin moulded aluminium casing. It's intended, Dell tells us, for work and play, with an optional Full HD WLED display and Nvidia 3D TV Play technology; which is all well and good, but while there's an optical drive and HDMI-out, there's no XPS 15Z Blu-ray option. Real effort has gone into the design, as it must with anything inviting comparison to the MacBook Air. The XPS 15Z has been inspired by the Adamo but is more petite, with aluminium casing and a 'floating' effect for the screen panel thanks to an in-set hinge, and a bright, back-lit chicklet keyboard. Powering the beast are second-gen Intel Core i5 or i7 dual-core processors, with Nvidia GeForce GT 525M graphics cards in 1GB or 2GB options. Dell reckons you'll get eight hours of power out of the eight cell battery,you're your connectivity options include Bluetooth 3.0, Wi-Fi and USB 3.0. 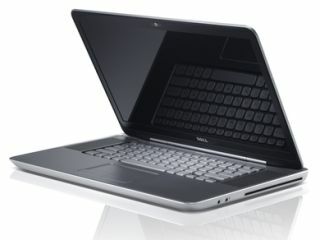 The Dell XPS 15z UK price starts at £899, and it will be available from Dell today, 24 May, and hitting the shops soon.